How we got a Great New Website, Custom E-Commerce Store, and Blog WITHOUT Breaking the Bank! Here’s the thing… we run a custom cake bakery specializing in wedding cakes & cakes for special events, and we create cakes that taste as amazing as they look! Our cakes are just hands down good. Just look at our social media feeds and read the comments from all our happy and satisfied customers and you’ll get the idea. And because we’re business-minded and tech-savvy we use our social media feeds a lot, but when it comes to websites and e-commerce stores well… we knew we might need a bit more assistance. While doing our research over the past year we also realized that this little project might end up really costing our business in terms of both time and money, since really good websites start around $3,000 dollars, and the ticket quickly climbs past $6,000 when you include any kind of real e-commerce, online store, or shopping cart that’s manageable. Well, we’re a local and community-minded business that likes doing business with people who do business with us, so when one of our regular clients started asking about our payment processing while talking about websites and e-commerce stores, it really grabbed our attention. As it turns out, one of our wedding clients that regularly comes in to buy family birthday cakes from us (and a lot of cupcakes and other fun delights) works for a company called Merchant Doodle. Merchant Doodle is a tech company with a new business model that saves clients tons of money by using the payment processing fees we already pay to offset the cost of building and running business tools like websites and e-commerce stores. We knew this was big for us because if it was done right, a great website and online e-commerce store could really drive the business forward and increase our revenue. We already had a website, but it was dated and didn’t have an e-commerce store… so it was more like a giant, online, ugly business card that sucked up lots of our time and money, and less like a resource that anyone ever really used to do business with us. Most of the time we just tried to ignore it. So Christy and Rob from Merchant Doodle came in and after going over our payment processing setup, they made us an offer that we just couldn’t pass up. Our new site and online store came with fully-managed web hosting (we don’t have to do anything) and btw, in case you haven’t noticed… its FAST!!! And fast is nice, especially since we can manage our own content now with the easy drag-and-drop posting & design tools. It’s really quick and as simple to use as Instagram or Facebook. Our Merchant Doodle people even linked everything up to our social media feeds for us, which was also great and kind of brings us back full circle to where we started… but not quite. One thing we didn’t get was a big bill for thousands of dollars. We also skipped the large, ongoing hosting and management fees that usually come with these kinds of services. That part was extra nice. They did offer us an good mobile-friendly payroll package at a nice discount, but we really didn’t have a need for it yet. Besides, we can always add that later if we ever want to. Also nice. 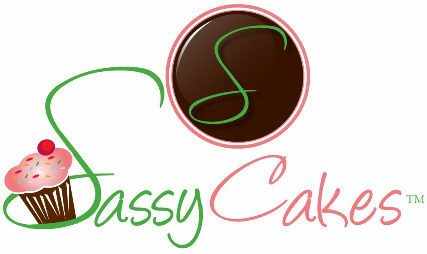 So in short, here at Sassy Cakes WE LOVE our new website and online e-commerce store powered by Merchant Doodle. And their payment systems are good too. You can go to MerchantDoodle.com if you want to know more about everything they offer. Sassy Cakes is a specialty custom cake bakery. We create cakes that taste as amazing as they look! away in a cute, cozy corner. You can call us at 239-687-5100.